The time has come for the Fellowship to disband and our adventurers return to hearth and home. The shadow smited, Gondor stands in glory with Aragorn and Arwen on the throne and the White Tree growing once again. Perhaps for the first time Arwen's choice is explicitly stated here. She has made Luthien's choice, the elf-maid who chose mortality to be with her mortal love. Interestingly enough her im/mortality, perhaps due to her role as a half-elf, functions almost like a ticket. With the gift of a token she gives her place on the boats to the Grey Havens to Frodo in exchange for his actions and sacrifice. Perhaps life itself is the only way to properly repay Frodo for bearing his burden. The exchange between Gimli and Eomer regarding the beauty of Galadriel and Arwen is possibly one of my favorite moments. 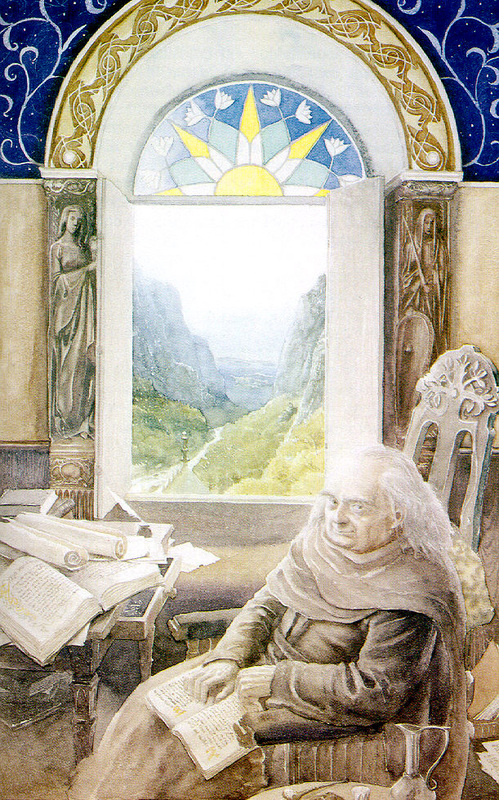 It stands as an aside that Tolkien had no need to include, but it suits so well in light of hope and friendship across the pages here. It also reminds me of some of the better interactions between Gimli and Legolas. It's a pretty goofy exaggerated honor play, though I suppose there could be some level of serious earnestness, I just can't read it without levity. But part of the goodbyes include honoring the dead, most notably the nobles who gave their lives. I can't help but notice how directly many of the names of the fallen Lords of the Mark come directly from Norse myths. "Baldor" and "Frea" stand out in particular. I'm glad that the Ents are not forgotten in this leave-taking of friends and vouchsafing of gratitude. Our time with them overall is limited, but there is something so quintessential about their presence and the fantasy element they bring. They also bring a point of view and philosophy otherwise absent from the story. Reminding Aragorn that "never" is a very long time, but they respect the intent of the sentiment, or their handling of Saruman. I do find it interesting for all that the Ents proved most blood thirsty they were led to leniency with Saruman, but then I guess no one may prove infallible. That we meet him again on the road proves that for all that our party achieved, Tolkien is not done with the machinations of his villains. Most authors would have by and large gone from this leave taking and journeying home, to the actual returning to home and living out the rest of their days. With several chapters left there's a good indication even for those who don't know what's waiting in the Shire that there's a bit more to come. Jackson clearly is on the wrap-up method, and this chapter has been excised from the film.